Importer,Exporter and Manufacturer of Garments and Traditional Islamic clothing. Before placing any order please read the following carefully. Our all items are manufactured and imported from INDIA only. We are not retailers, we supply in bulk quantity only. Our all items are sold in Dozens only, in a dozen there are 3 colors, 4 pieces of each color. We accept a minimum order of 10 Dozens but you can choose multiple items to complete it. All items available in 4 sizes (S,M,L,XL) or (M,L,XL,XXL). We do not display all the items on website, please contact us for latest collection. 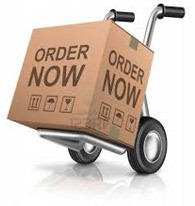 Shipping charges are not included in the item’s price, it is buyer’s responsibility. We accept orders only for the items we have in stock and it will be shipping within 2 to 6 hours after receiving the payment. If you place order for any exclusive design, it will take 45 to 60 days as we do not make any item locally. Enjoy free shipping on all orders above $149 USD!